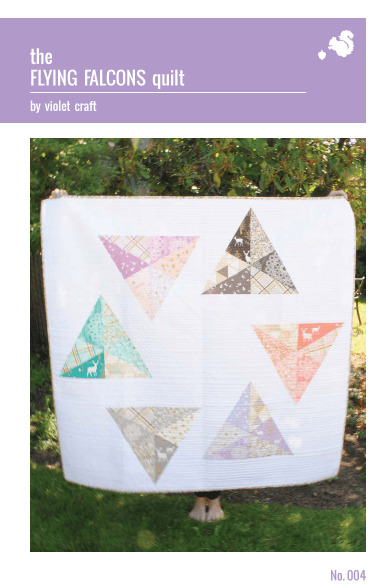 The Flying Falcons Quilt is a modern homage to traditional “flying geese” and is inspired by the falcons in the Brambleberry Ridge print, Timber Valley. 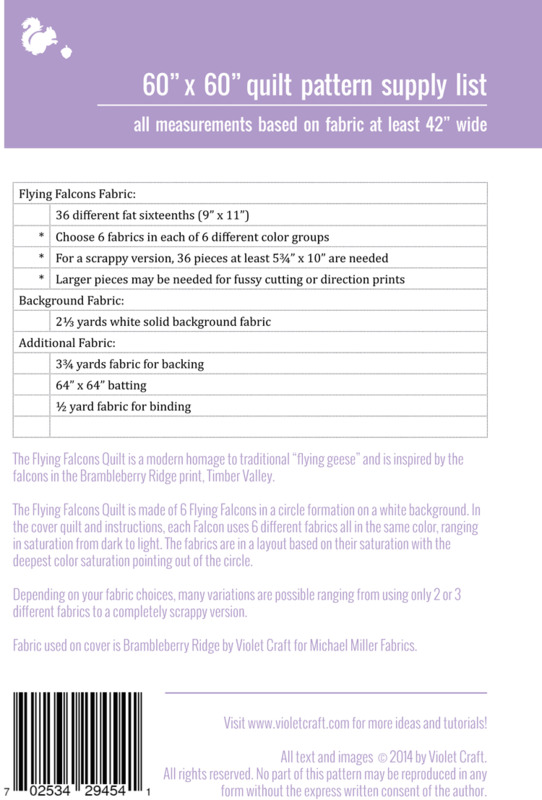 The Flying Falcons Quilt is made of 6 Flying Falcons in a circle formation on a white background. 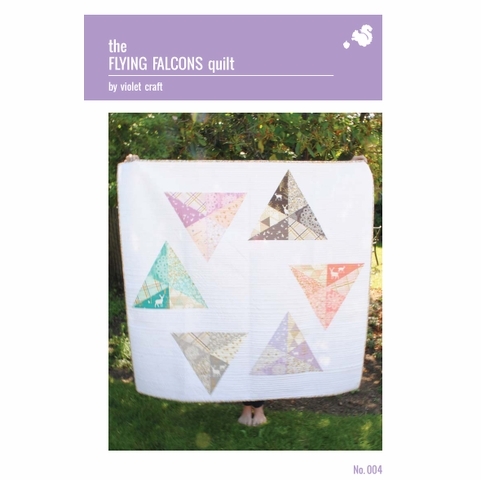 In the cover quilt and instructions, each Falcon uses 6 different fabrics all in the same color, ranging in saturation from dark to light. 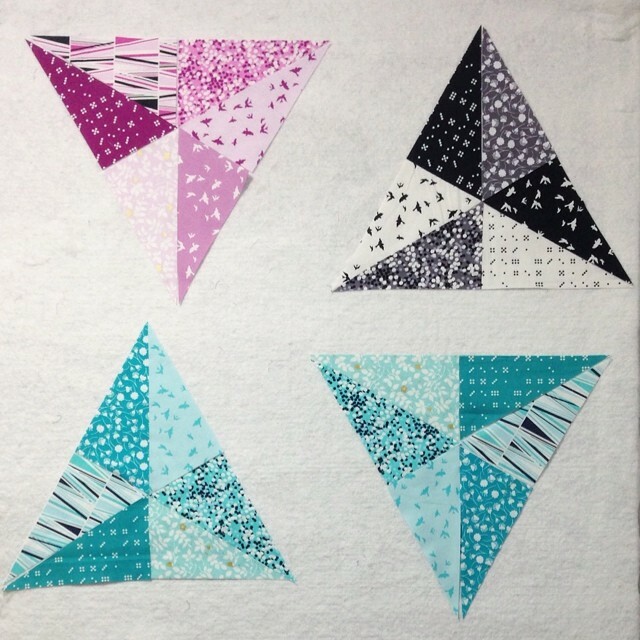 The fabrics are in a layout based on their saturation with the deepest color saturation pointing out of the circle. Depending on your fabric choices, many variations are possible ranging from using only 2 or 3 different fabrics to a completely scrappy version. 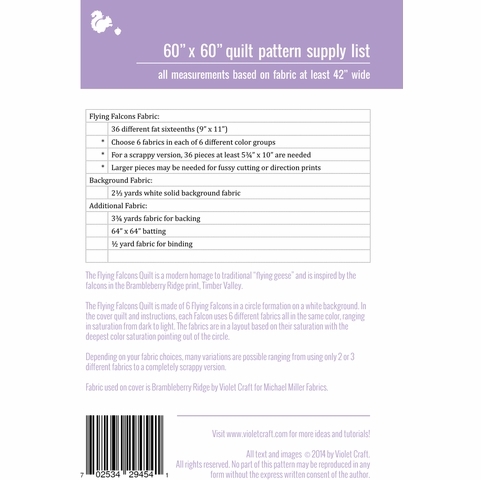 For more information regarding Sizing and Fabric Requirements, please see inset image.